Everyone deserves to be kept safe from harm and abuse and to live a life free from this abuse and neglect. This cannot be achieved by one single agency or person. Every organisation and person who comes into contact with an adult or child has a responsibility and a role to play to help keep children and adults safe. Proud to be working in collaboration with these lovely people. Safeguarding children is the action taken to promote the welfare of children and protect them from harm. Safeguarding: means protecting children from abuse and maltreatment, preventing harm to children's health and development, ensuring children grow up with the provision of safe and effective care. Safeguarding adults is a term often used when talking about the abuse of adults who are vulnerable or 'at risk'. They are 18 years or over who is or maybe in need of community care services by reason of mental or other disability, age or illness; and who is or may be unable to take care of him or herself, or unable to protect him or herself against significant or exploitation. 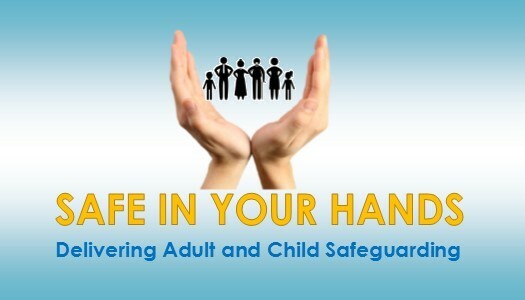 South Gloucestershire Adult and Children's Safeguarding boards and Safe In Your Hands are working in Partnership. Safe In Your Hands are delivering the mandatory Raising Awareness of Child Sexual Exploitation training to new and existing taxi drivers in South Gloucestershire. Safe In Your Hands are also delivering the Working with Parents and CSE and Working with CSE: Skills and Practice to professionals working wihin the LA. Safe In Your Hands have been approved by South Gloucestershire to deliver this training package. Safe In Your Hands are working in partnership with Phoenix (SW) Ltd. They are delivering the Raising Awareness: Safeguarding Adults training package.